Blackbirds have a call that is a quick chink-chink. 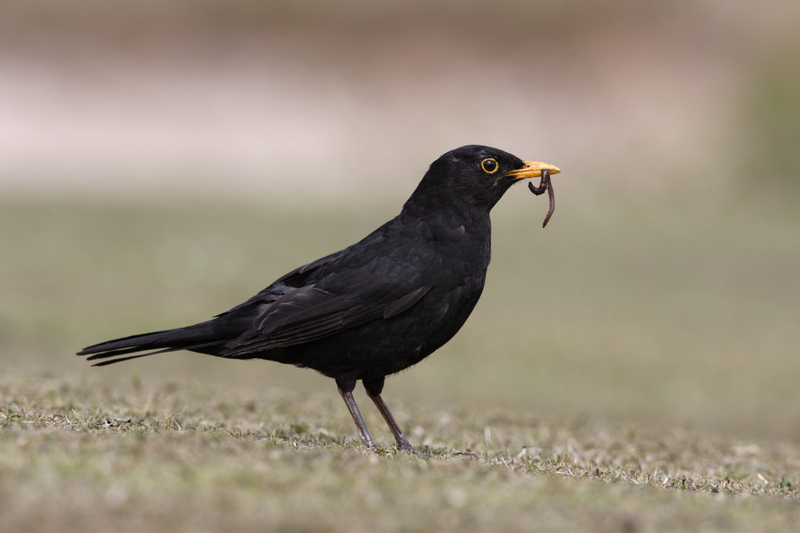 Blackbirds normally eat on the ground and eat worms, slugs, and snails. They also eat ground insects and spiders. Blackbirds like to eat fruit when they can. 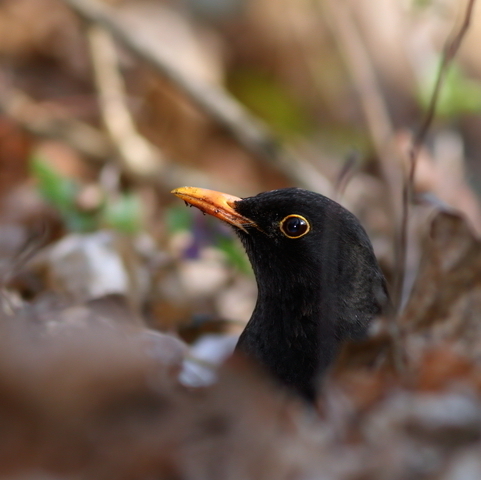 The blackbird is about the length of a rugby ball 25cm. 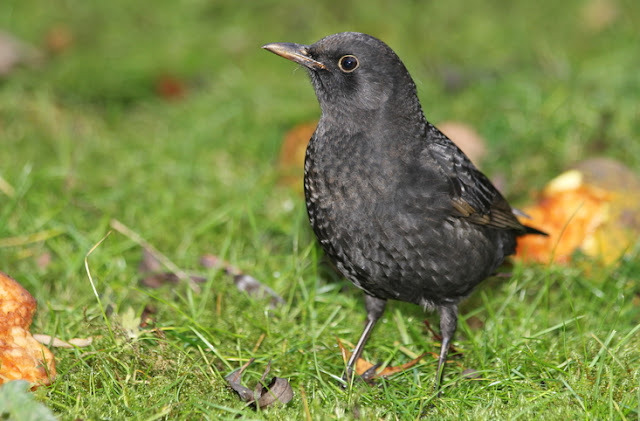 Blackbirds have nests which are made of twigs, grass, roots, moss, leaves and mud. They can live to 15 years old, which would mean if you were a kid you would be fifth form in high school. 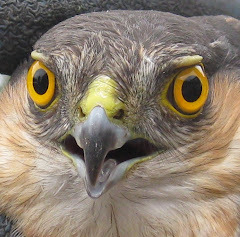 The female sits (incubates) on the egg for about two weeks, and both parents feed the chicks. At thirteen to fifteen days. the chicks are ready to leave the nest. There are two to six eggs in each group, and they are bluish-green and freckled with reddish brown. 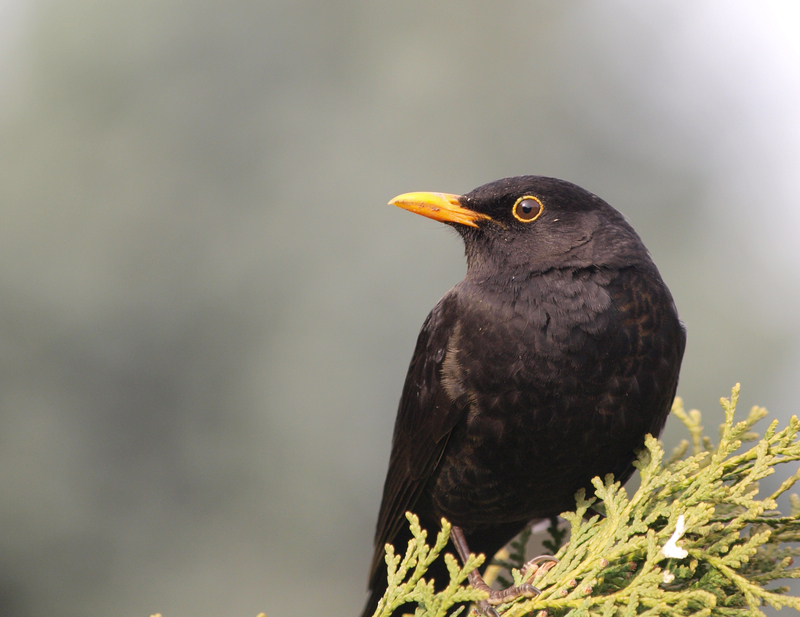 The male blackbird is black with a bright orange beak, but females are mostly dark brown. 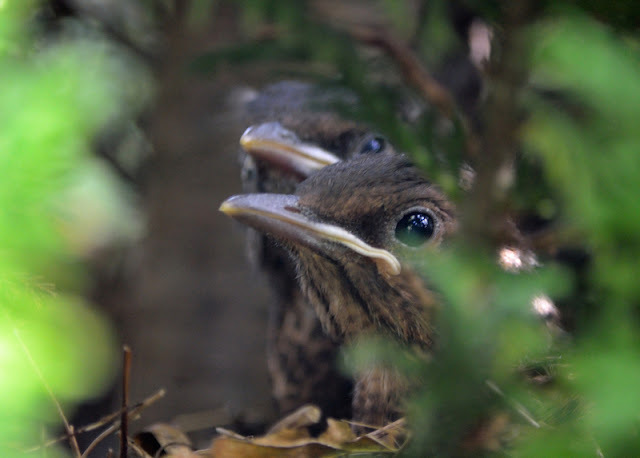 We have blackbirds all over New Zealand and in our Community Forest. 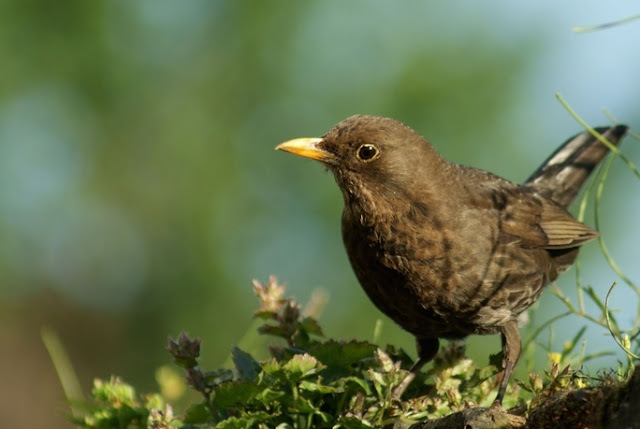 The title of this post, ‘If I was a blackbird...’ is an old Irish ballad which achieved worldwide popularity when sung by vaudeville entertainer and fabled siffleur Ronnie Ronalde when it was released in 1950. His ‘signature song’ remained in the UK top twenty for six months. He was renowned around the globe with as much adulation as any modern media star. He could literally call the birds out of the trees with his whistling and could precisely mimic the call of any bird with unsurpassed accuracy. The same song was released by Irish tenor Josef Locke. It is a spooky coincidence that Josef’s own signature song was ‘Come back to Sorrento', the gardens of which were the subject of my last post! On the first night of our holiday we were descending to the sea and there thirty metres below us was a cafe entertainer singing ‘Come back to Sorrento’. We burst into song and he immediately looked up. He held our gaze and gave us our own serenade! I was taken by how a rugby ball was used as a unit of volume in the New Zealand primary school. Such single mindedness wins world cups! I have timed the publication of this post to coincide with the referee’s final whistle! I have a Love - Hate relationship with the Blackbird. On the one hand I love its singing (as opposed to its repetitive "Cat! Cat! Cat!" 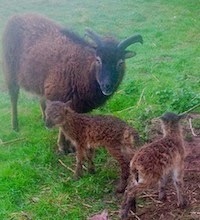 alarm call), but on the other I hate it because it scrabbles around in my raised beds in the Spring, destroying many of my delicate seedlings. Thanks Mark, I have seem to have neglected the nuisance aspects in the garden. My friend Mike was telling me how he frequently rescues them from his fruit cage! Mr & Mrs Blackbird are such good friends in our garden. Each spring they are busy together building a nest. Eggs are laid. I think eggs hatch. Every year without fail they have a battle with magpies, who have been watching carefully, Every year the magpies win. 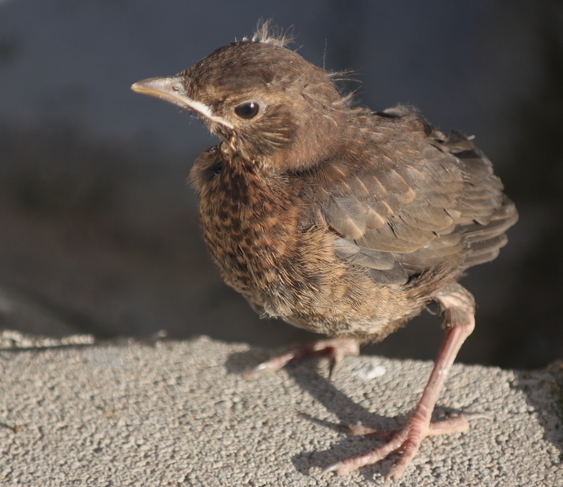 Mr & Mrs Blackbird are sadly still childless. Perhaps I should get a gun! What a sad little story David. If I did not think you were joking about the gun I would recommend you took a lesson from our mutual friend Cathi who is a hot shot. I always leave the leaves down so I can watch the blackbirds, thrushes and redwings hunting through them for insects, unfortunately a cat had one of mine a couple of weeks ago. I too was amused by the rugby reference and all from a population of approx. 4.5 million! Yes I keep reading blogs about tidying up the fallen leaves.Most of mine are just left on the surface, although those on the lawn get shredded by my mulch mower. Lots of leaves now fall on my garden, and on the road on two sides of the garden. They are a huge resource but I do not like them lying. What I now do, on advice from a large-scale professional gardener, is to shred them. Like your mulch mower but on a lager scale. I create a huge pile of shredded mainly oak leaves, now already substantial. When all are gathered, just before Christmas, I prune the beds and then spread this mulch. It looks good, suppresses weeds, and allows shoots from bulbs to penetrate better than though unshredded leaves. The problem is that it takes a lot of time, but at least outside. If I did not know that Bagpuss was you R... I would be wondering about a cat tweeting about a bird! Beautiful images of a beautiful bird. I love having blackbirds in the garden, they are such a treat and seeing them playing around in my birdbath is a joy. Everyone seems to have blackbird stories Helene. I originally intended to write the post around friends' personal experience. Perhaps another time but I hope readers' anecdotes keep coming in.